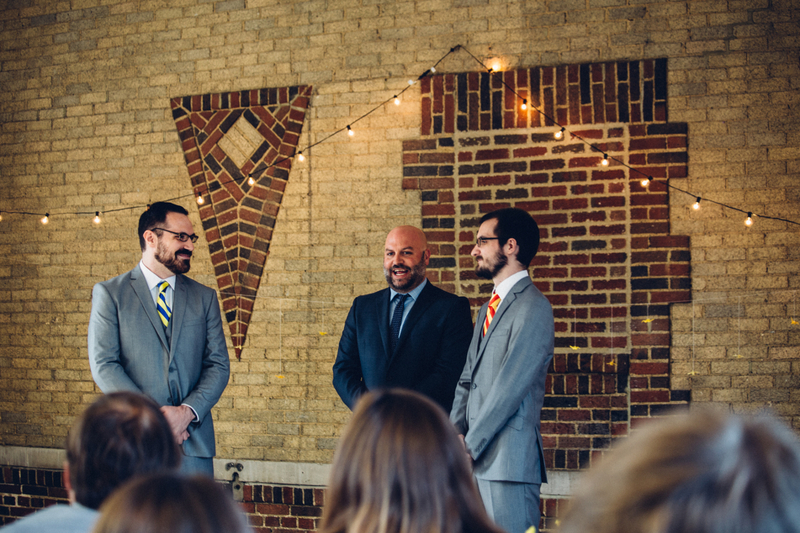 Community Blog by Ben Davis // Photos from my nerdy wedding! 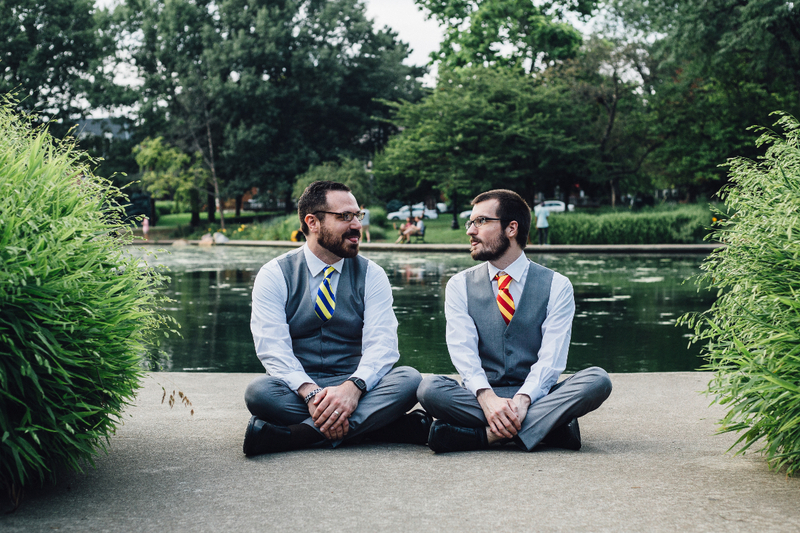 Photos from my nerdy wedding! It was only a little bit nerdy, but since Josh and I both love video games, we obviously had to throw some references to our favorite hobby in there. 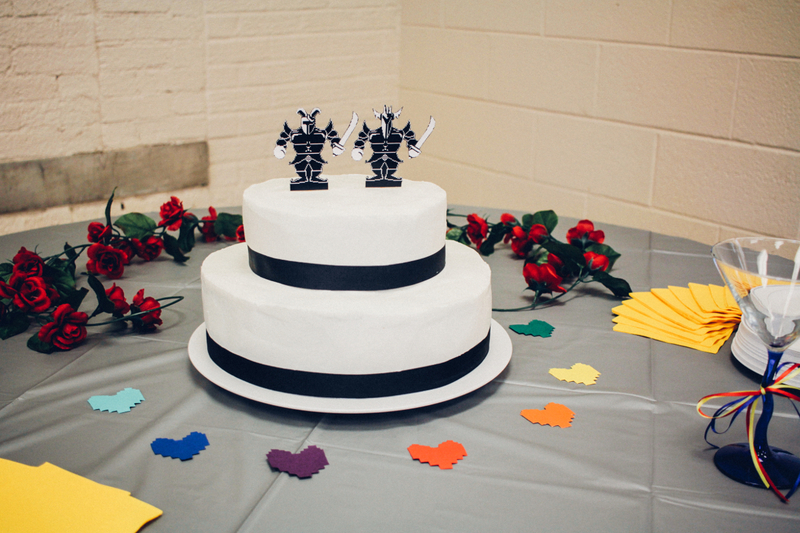 For starters, we had an Undertale-themed cake! 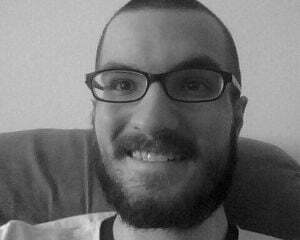 I thought it turned out great (and it was super delicious as well!). 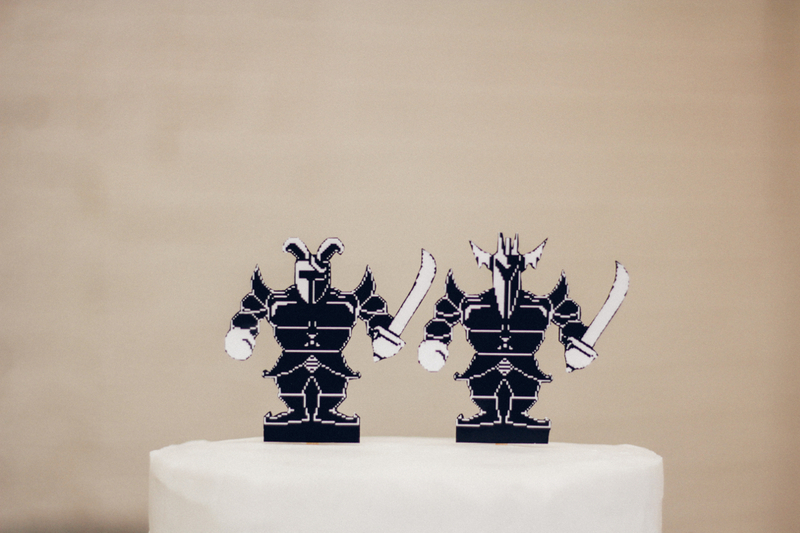 We used the gay royal guards as cake toppers, with the colored pixel hearts as decoration. A few guests even recognized what it was from, including fellow Dtoider Knutaf, who traveled all the way from Seattle with his wife to come see us get married! 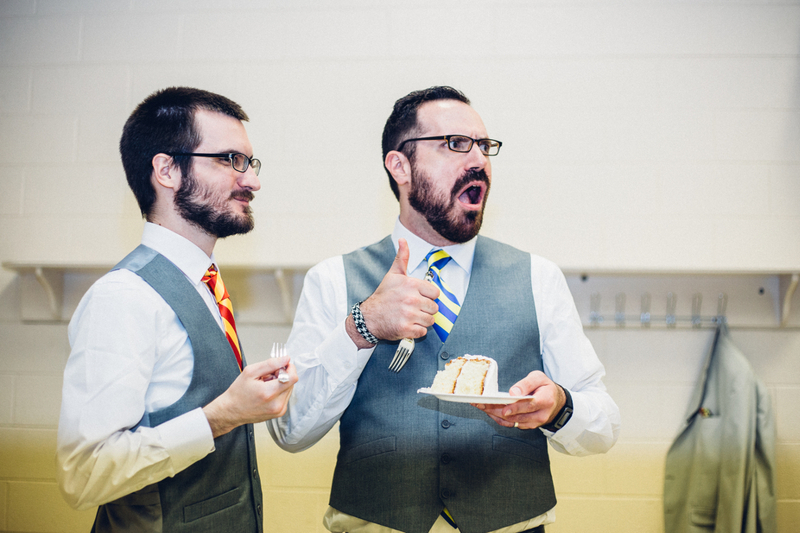 This shot of Josh eating said cake might have been my favorite picture of the night, haha. 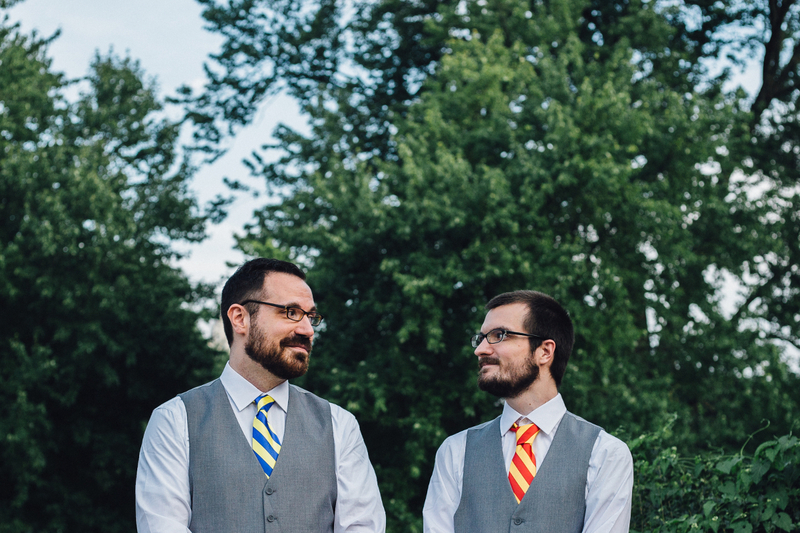 We also picked out ties based on Ness and Lucas from the Mother series, but of course a bunch of people thought they were supposed to be Harry Potter ties. 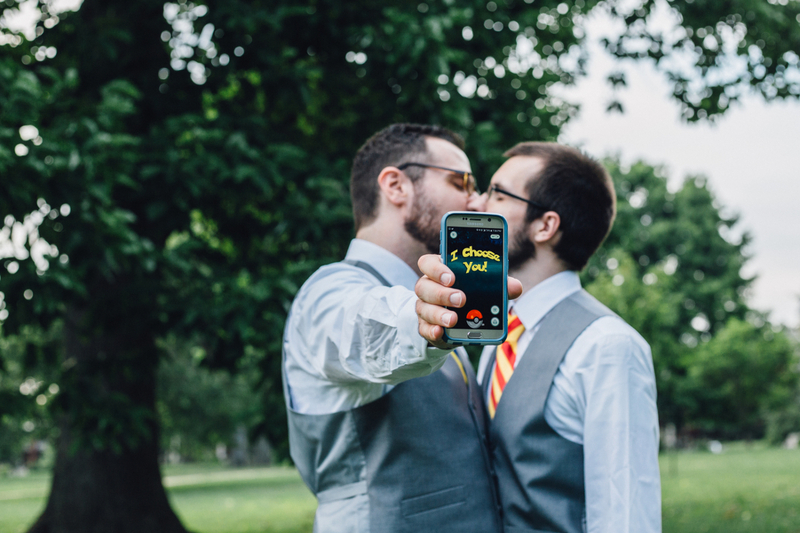 While we were having our photo session in the park, there were hordes of Pokemon GO players wandering all over the place that we had to sort of work around (I think some of them actually had to be photoshopped out of some of the shots), so our photographer thought it might be cute to play with that idea for one picture. Finally, we had some gaming music that played, including "Adventure" from Fez which we walked down the aisle to, and "Que Sera Sera" from Katamari Damacy which played during the reception.